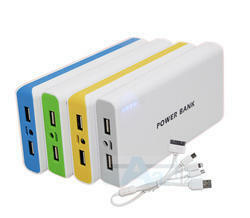 Manufacturer of a wide range of products which include mobile power banks and universal power banks. 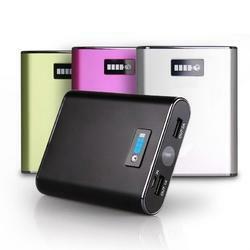 By following the ongoing market developments and trends, we are offer Mobile Power Bank to our valued clients. The offered power bank is widely appreciated for its ultramodern techniques and longer functional life. Manufactured using premium grade basic material and top notch techniques, the offered array is available in number of designs, sizes and specifications to meet the requirements of clients accordingly.Also these products priced nominally. Delivery Time: Depends on the quantity. Packaging Details: Each piece in packet. We are a leading manufacturer, trader and supplier of high quality Power Banks that offers excellent backup. The offered power bank is designed using quality approved raw material and sophisticated technology in sync with industry quality standards by our adept professionals. These multi mobile phone chargers have an ideal brand recall value and is a very useful gifting option. Packaging Details: Each piece in a packet.